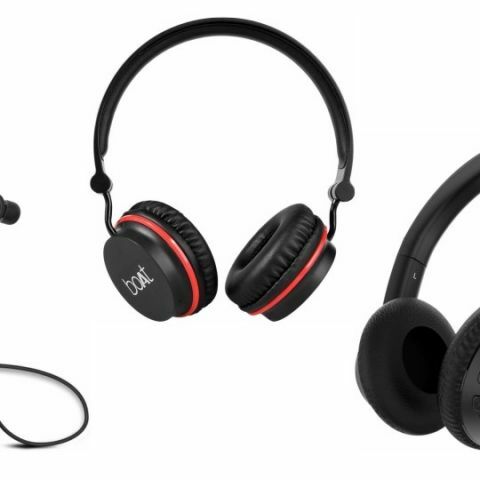 Today, we have rounded up the best deals Flipkart has on wireless headphones. The products we've listed down below are in-ear and on-ear headphones. The TAGG PowerBass-400 On-Ear Headphone is Bluetooth 4.1 enabled and is also equipped with a 3.5mm audio jack. The headphone comes with a built-in mic and ear cup mounted controls, that allows you to manage volume and audio tracks easily. Click here to buy. The boAt Rockerz 400 is an on-ear wireless headphone, which is compatible with Windows, Android, IOS and more. The headphone features a 3.5mm audio jack as well that lets you listen to music via an AUX cable when the battery of the device is dead. As per the company, it has a battery life of up to eight hours. Click here to buy. The Life Like Studio Wireless Headphone is Bluetooth 4.0 enabled and comes with a TF card slot and a 3.5mm audio jack as well. The headphone comes with ear cup mounted controls that let you manage volume and audio tracks easily. Moreover, the device features a swivel ear cup design, which enables easy storage. Click here to buy. The TAGG Sports Wireless In-Ear Headphone comes with Bluetooth 4.1 connectivity and also features a built-in mic, which lets you manage your calls easily. As per the company, it has a battery life of up to eight hours. Click here to buy. The Acid Eye On-Ear Headphone is Bluetooth 4.1 enabled and works within a range of 30m from a connected device. It also has a built-in mic that allows you to make/answer calls easily. As per the company, the headphone can provide up to 25 hours on music playback in one go. Click here to buy.